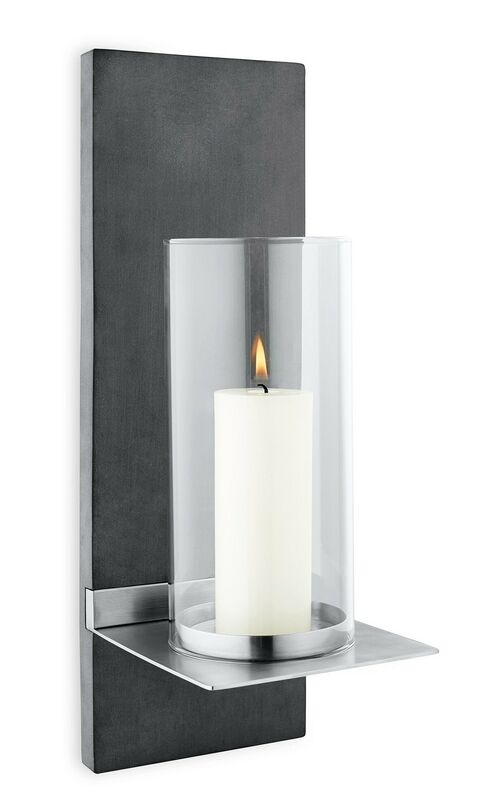 The Blomus Wall Candle - Polystone is a beautiful accessory indoors or out. 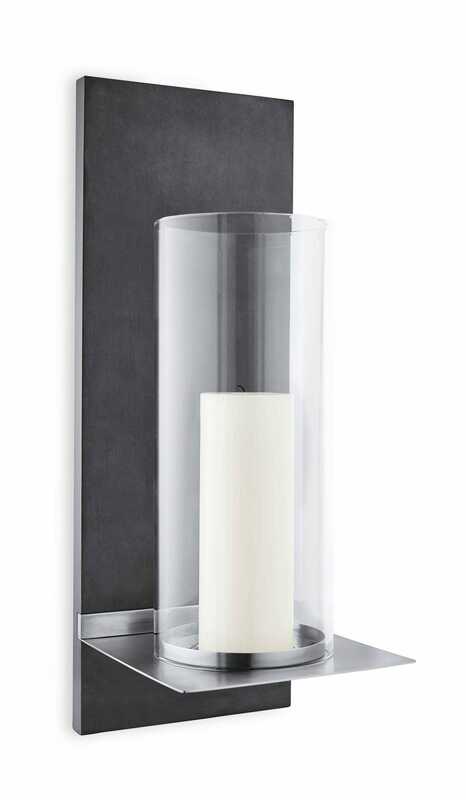 The polystone back accent helps to highlight the white candle, which is included with the set. 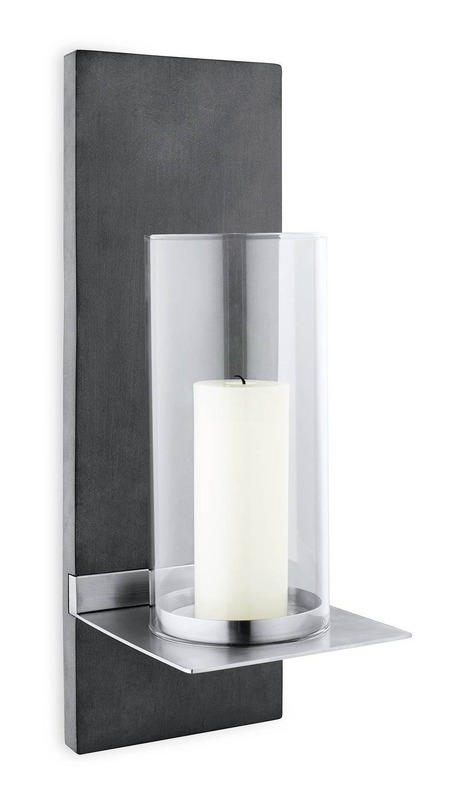 Stainless steel shelf securly holds the candle while the large glass hurricane protects the flame from wind outdoors.Combining modern elements like polystone, glass and stainless creates an extremely urban accent. Where can you still find something truly unique in this day and age? In a world that is increasingly conforming to the norm, the unusual becomes more precious. The desire for uniqueness is great. 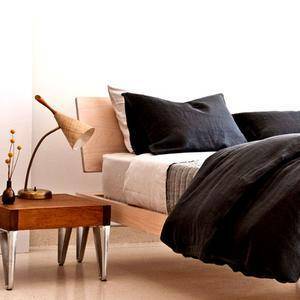 The Blomus brand fulfills this aspiration. It represents the exceptional amongst the mundane, the face that stands out in a crowd. In their quest for the remarkable, Blomus designers have identified a single inexhaustible source of inspiration: the natural world. Elementary forms, solid materials, authentic radiance – these values can be rediscovered in Blomus products in many fascinating ways. 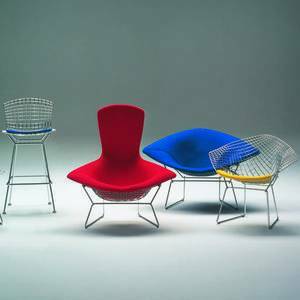 Pure stainless steel is a source of inspiration and fascination for almost all Blomus creations. GR Shop stocks over 400 of these unique objects to help complete your home or office. Flöz is the German term for an extensive sedimentary mineral deposit worth mining (e.g. coal seam, ironstone seam) that runs parallel to the rock strata. In 1989 Oliver Wahl and Peter Golz turned the first spadeful of earth by setting up “Flöz Industrie Design”. And they have continued to untiringly dig deeper ever since, in order to unearth the very best for brands. As a full-service agency, nowadays a team of designers and marketing specialists all work on the brand identity of its clients from the sectors of sport, lifestyle, leisure and home interiors. Flöz offers the complete portfolio of brand design, from comprehensive corporate design concepts to product design. 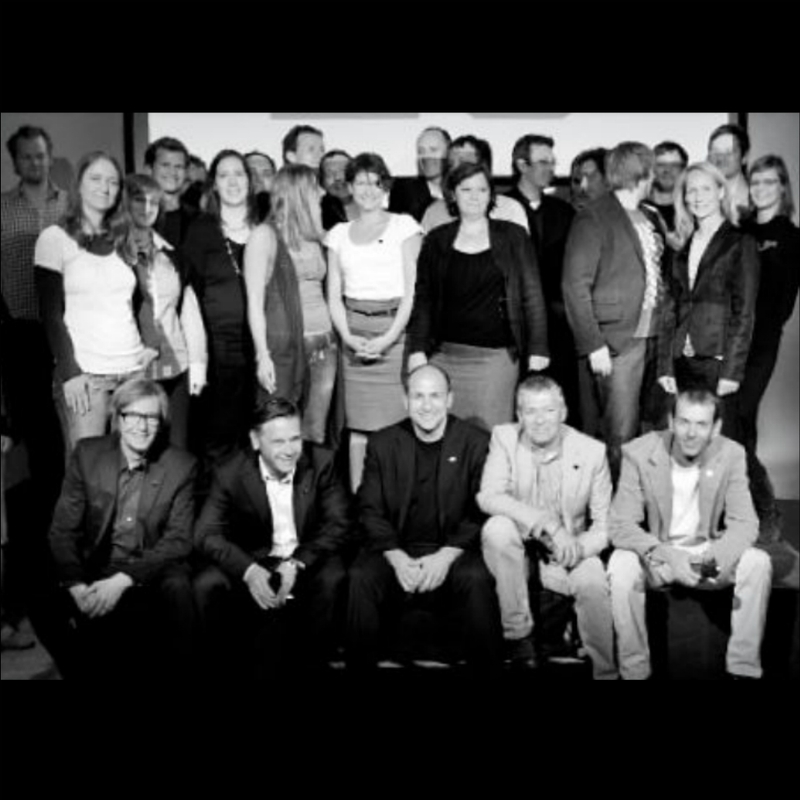 Over 20 years of Flöz means over 20 years of customer support. The reason for this is “loyalty” and the motivation for it is our “know-how”. There's a story behind the name “Flöz”: Flöz is the icon of Germanys melting pot, the Ruhr district, traditionally linked to hard work and passion. Others merely boast about what they’re capable of, but we just prove it. We don't just talk the talk, we walk the walk. After all, advertising and design are not dazzling sweet wrappers filled with intellectual anti-matter, but require the finest craftsmanship. We are providers in service to the brand. Flöz is creative – yet simply down-to-earth. And that distinguishes our particularly trusting and intensive cooperation with our clients' various teams from the fields of marketing, sales and product development. We tell it like it is and place great emphasis on transparent and controlled project management with traceable budgets.